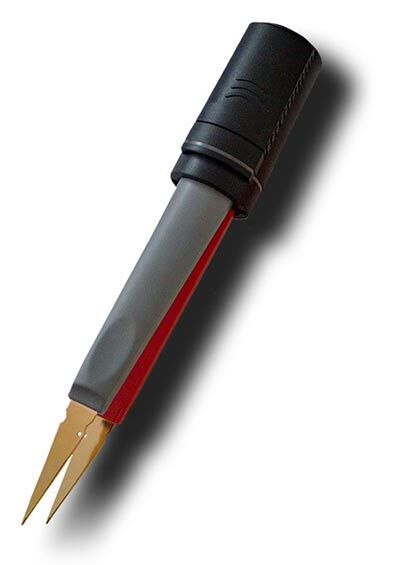 Smart LED Test Tweezers from Siborg Systems Inc.
Smart LED Test Tweezers from Siborg Systems Inc. are a multi-use tester designed for LEDs. The device makes testing and troubleshooting electronics simple with its tweezer design. The device has sharp gold-plated phosphor bronze tweezers that are able to grasp small components, either mounted or loose, and will illuminate when a component is in contact. Designed mainly for LEDs, the device uses a 12VDC output with adjustable test currents of 5mA, 10mA, and 20mA. 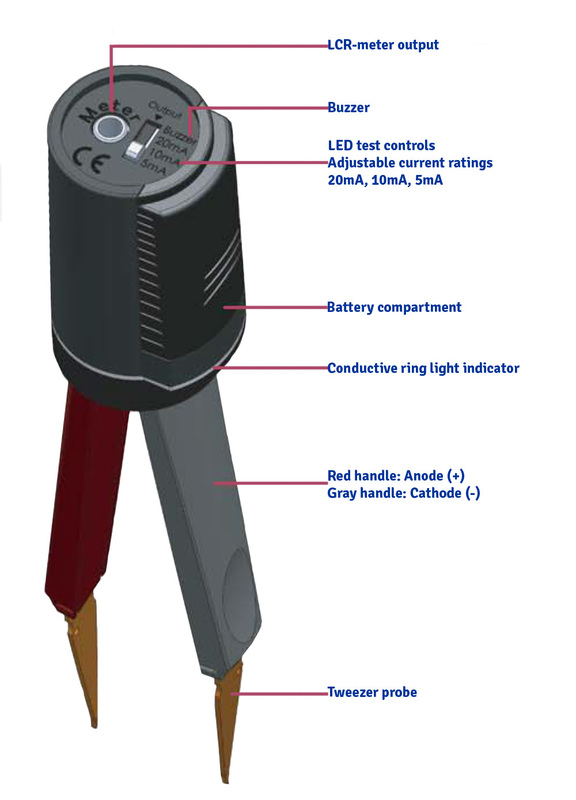 Smart LED Test Tweezers are able to test fuses, switches, and shorts in a circuit; it can also be used as the probes for a multimeter using the special connector cable that comes included. The device is suitable for professionals, such as engineers and other personnel that may need to take a tester into the field. At only 50grams weight and 15cm long, it is nearly undetected in a bag or pocket. 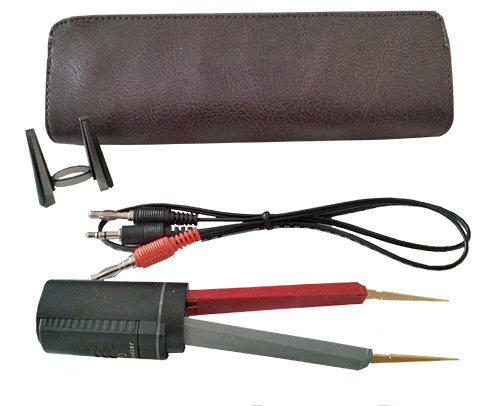 The Smart LED Test Tweezers comes with a travel bag, tweezer clips, battery and LCR-meter hook-up cable.